Guatemala: The remains of eight-year-old Felipe Gomez, the second Guatemalan child to die last month in the custody of the US Border Patrol, have arrived back home for burial, officials said on Saturday. 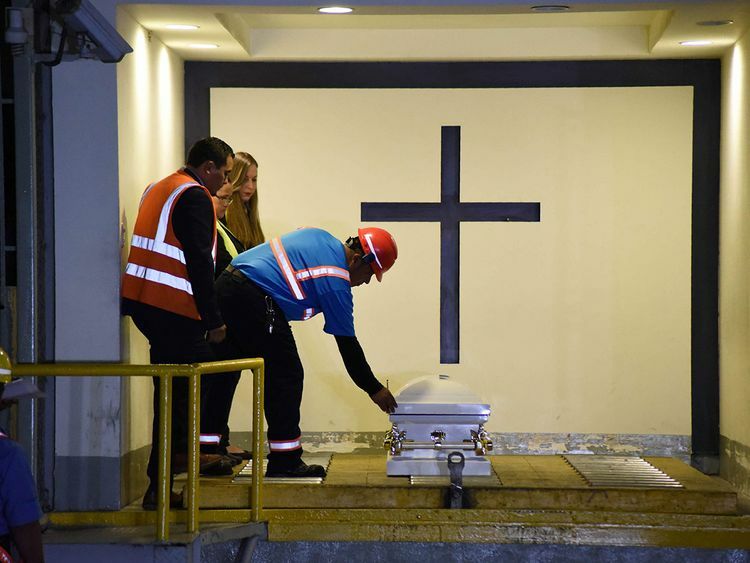 The Guatemalan foreign ministry confirmed that the coffin carrying the boy's body landed at La Aurora International Airport, south of Guatemala City, on Friday. Officials received the small white coffin and handed it over to his relatives in a private meeting. Felipe's death and that of Jakelin Caal, aged seven, two weeks earlier, were drawn into a US political debate over President Donald Trump's demands for funding a wall to curb illegal immigration through the Mexican border. Trump blamed opposition Democrats and their "pathetic immigration" policies for the children's deaths, which came during a surge of family arrivals at the border. Felipe had left his home in the Mayan indigenous community of Yalambojoch, nestled in the western mountains, along with his father who - like many other migrants from the impoverished region - was hoping for a better life in the United States. The two were detained as they crossed, undocumented, into the US on December 18 at El Paso, Texas. Felipe died six days later after showing symptoms of an unspecified infectious disease, US authorities said. His death came shortly after the burial of Jakelin Caal, an indigenous girl who died in an American hospital while in custody after crossing the border. Jakelin had traveled with her father, 29-year-old Nery, from the town of Raxruha, 145 kilometres north of Guatemala City. She died on December 8, possibly of dehydration. Nearly 60 per cent of Guatemala's 16 million inhabitants live in poverty, according to official figures. But the rate rises drastically, to 80 percent, in the indigenous areas of the north and west that are the biggest contributors to US-bound migration. The deaths of the two children highlighted why so many youngsters are among the Central American migrants heading north. Witnesses told AFP that smugglers advise that families have a better chance of being allowed in to the United States.